Interview with veterinary ethologist Anouck Haverbeke, Conducted February 2015, published December 2015. Anouck was one of my lecturers at the Postgraduate dip. in Applied Companion Animal Behaviour. 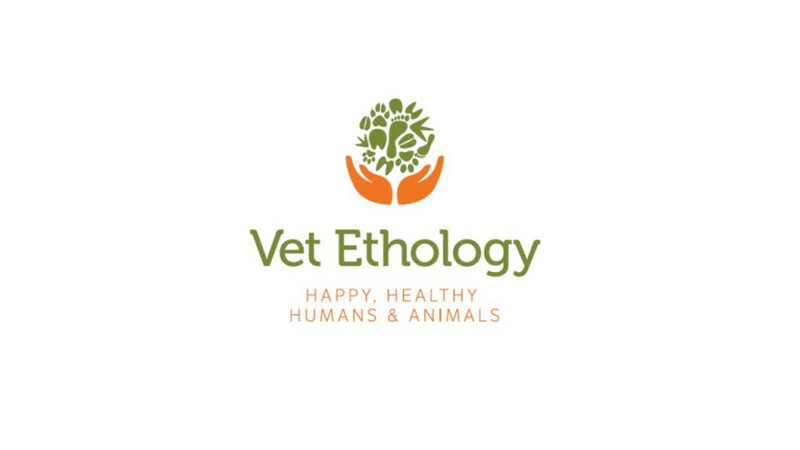 She is a board-certified veterinary behaviourist and has a doctorate in ethology. To top it all, Anouck is perfectly quadrilingual – and I mean perfectly – in Flemish, French, English and Spanish. It’s fair to say that Anouck is a biiiiig hitter in Eureopean behaviour medicine for companion animals. 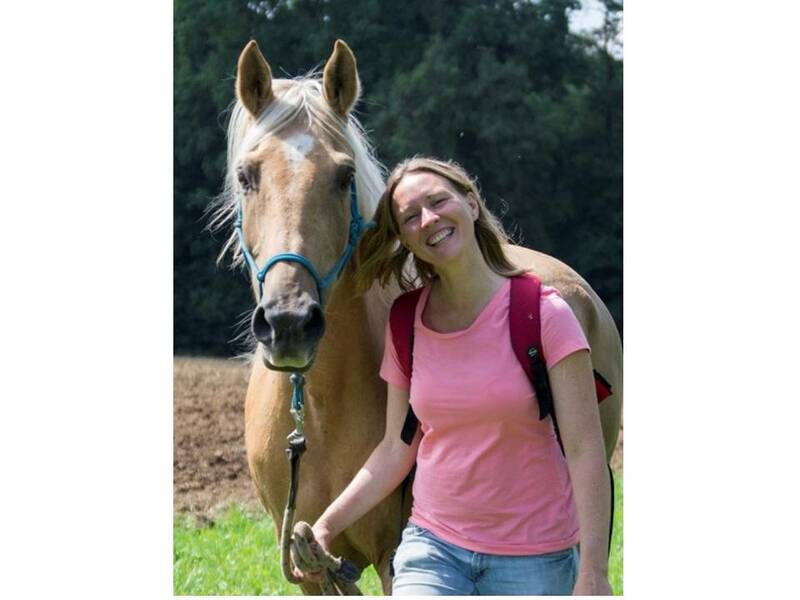 Anouck runs Vet Ethology, a behaviour therapy practice for horses, cats and dogs in Overijse, Belgium (close to Brussels). 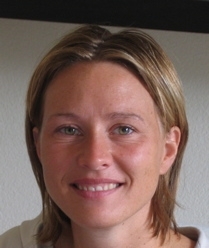 Anouck is also a regular animal behaviour and welfare speaker on the international lecture circuit. Her current research interests focus on veterinary olfactory aromatherapy (i.e. investigating the efficacy of essential oils to improve the human-animal relationship). I wanted to let my readers find out more about Anouck’s work, as she is one of the most qualified behaviourists in the region, and an immensely approachable person. 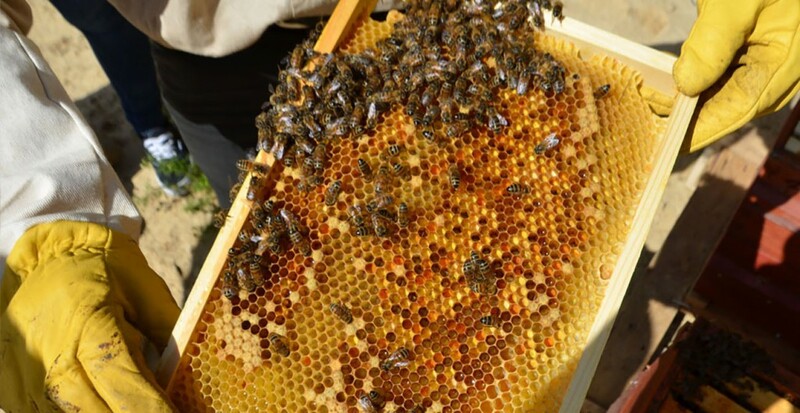 LV – So you have one husband, three kids, one Labrador, four horses, countless bees, and until recently, chickens. That’s quite the family. No cats? LV – Ouch. So, you live with quite a few species, and you are also treat a bunch of them. With your impressive animal behaviour CV, what do you call yourself: ethologist or vet behaviourist? AH – I am just a veterinary specialist in animal behaviour. I don’t really call myself an ethologist, eventhough I have a PhD in ethology. LV – You have invested years of your life and significant funds in your education. How do you feel when owners of dogs with serious behaviour problems take advice from their friends or television, often with disastrous consequences? AH – I explain to them that we have been studying the particular behaviour problem their animal is showing rigorously, and that we have investigated what interventions is most likely to be effective for it. But at the same time I tell them I understand their doubts. I tell them that they can see working with me as an experiment. If it doesn’t work, at least they will know they will have tried. … they can see working with me as an experiment. If it doesn’t work, at least they will know they will have tried. LV – That’s a nice approach. Because if you start making arguments about the hierarchy of evidence, or try to make the case for evidence-based behavioural medicine through some other angle, you risk distancing people or losing them in the technicalities. In my experience, clients resist when you try to try to speak from a position of authority, no matter how logical it might be. AH – Yes, absolutely. And, about people taking advice from the layman, it reminds me of new mothers being assailed with conflicting child rearing advice from all corners. What I try to do instead is empathise with how the the person herself is experiencing the situation. I give them the choice because, in a way, they have the answer. They ultimately know what approach is the best fit for them. Sure we can bring scientific evidence forward, but people know what’s right for them. LV – Take me through your process. What steps do you go through on a typical case? AH – We start with a short phone conversation, then I send them a questionnaire. Once I have processed their answers, we meet face-to-face. That is when I make my recommendations and explain them. I also share my prognosis of the case – some problems can be handled quicker than others. LV – On average, how many consults does it take for the owners to be able to take it further without further help? AH – It really depends on the problem. For house soiling, for example, it’s more about changing the environment so they usually don’t need to come see me again. And for cats, it’s generally just one consult. But for dog aggression cases it can be five or six sessions. If it is training-related, I really want to give the owners solid skills to become independent from me as quickly as possible. LV – Are there cases where the prognosis is so poor there is little justification in proceeding with treatment? AH – They are quite rare but they do exist. LV – Talk me through a case that really struck you, positive or negative. A case that’s stuck with you. Anouck’s extremely placid Labrador. He even came to one of our lectures! AH – This case in particular really touched me. Three years ago, a lady came to see me about her Dobermann cross. Her trainer had sent her to me. I went to her home and to see her work with the dog at the training club, and they were using quite harsh training methods. I witnessed the dog biting her when she was trying to put on his Gentle Leader. LV – You go to their place? That is fantastic. Most vet behaviourists see clients at the practice only, and never get to see the dog in his or her environment. But do continue. AH – It was plain to see that the lady was actually getting afraid of her dog. So I asked her to stop using confrontational training techniques and we started focusing on the relationship instead. That was the core issue, and that was the turning point. I called her recently and she did not only tell me that she had grown much closer to her dog, but also to the people around her. … she had grown much closer to her dog, but also to the people around her. What I loved about this case was how well it illustrated something I see a lot: a dog helping their person become aware of a problem, focus on it, and grow. She said “Thank you, the work we did together was amazing”. That’s why I love this job. We’re not just working on the animals. The animals are also helping us help the owners. LV – You have been working hard on a project using aromatherapy to help alleviate behaviour problems. Tell me about that. AH – The research literature provides much evidence for essential oils working directly on the limbic system (in the amygdala, to be precise). This has been demonstrated in zoo animals (Wells, 2009), kennelled cats (Ellis, 2009), horses (Ferguson et al., 2013), and kennelled dogs (Graham et al., 2005). I had been using them to decrease behaviour problems and improve the animal-human relationship for five years when I took the project further and started developing my own blends. We now have nine blends in diffuser and spray form. LV – There is a lot of push-back on aromatherapy from the scientific skeptics community, do you intend on conducting your own research? AH – Yes. We have applied for funding for a postdoctorate study to demonstrate the positive effect of aromatherapy on kenneled dogs’ welfare. LV – How will you measure effectivity? AH – We hypothesize a decrease in stress-related signal, the dogs’ activity, salivary cortisol, and anxiety- and aggression-related behaviour problems and a decrease in the dog’s postural confidence indicators. We also hypothesize that treatment will have a positive effect on the behaviour of the dogs’ human handler (increased emotional stability, decreased anxiety), which would improve the relationship of the treated animals with their handlers, providing a secondary factor for welfare improvement. LV – How do you see these results being applied, if the study supports your hypothesis? AH – We hope aromatherapy will become widely used to help puppies and adult dogs acclimate in their new homes after an adoption. There is also enormous potential for managing service dogs, for preventing behaviour problems in pet dogs. And we are hoping aromatherapy won’t be limited to dogs, but will also start being used more widely with cats, horses, exotic animals, and other captive animals. LV – When did you decide to specialise in behaviour? AH – As a first-year vet student, I already knew. Ethology fascinated me in a way that no other topic did. LV – Did they already have an ethology module at the Ghent Vet Faculty in when you were an undergrad? I know formal knowledge on applied ethology is not a standard part of the average Dutch generalist vets’ bag of tricks. AH – Yes, they did. But it was just thirty hours in the first year. Things have probably moved on quite a bit since then. Actually, I focus more and more on opening the world of behaviour to generalist veterinarians: I teach Veterinary Behavioural Medicine with two training institutes (Improve International and 2Learn). Behaviour is steadily gaining more importance among veterinarians, particularly in the past few years. It’s really encouraging. So my love for ethology stuck through vet school and by the time I was about to graduate, I knew I really wanted to do a PhD in Ethology. But places were scant. 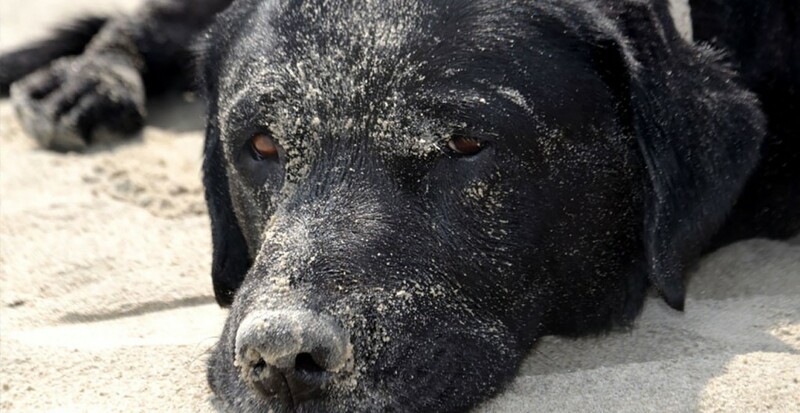 LV – Nothing’s changed there… I have been trying to find a PhD position for my own canine cognition research for years, but funding is extremely dry and places close to home are few and far between. But with such a fascination for ethology, what did you end up writing your grad school thesis about? AH – I co-authored a paper on the correlation between grooming and lowered heart rate in horses. I went to Madrid to do that research, together with prof. Miguel Ibañez. He is the one who said to me: “The best way to become a better human is to study the way animals live and work together”. LV – So once you graduated and there were no ethology PhD spots right away, what did you end up doing with your time? AH – I did interim postings as a GP vet for about four months, then I got the opportunity to go to Congo for eight months. I got to live in the field, with fifty chimps. It was real applied ethology, and I had the time of my life. LV – Wow! That’s hard to top. What did you do afterwards? AH – I worked as a GP vet again, but in Paris this time. It was tough, though, as my then-boyfriend/now-husband was in Belgium. And I missed Belgium a lot. LV – So that’s when you came back and started the PhD? AH – Yes, in 2002. It focused on the impact of dog training techniques on the welfare of working dogs. LV – Tell me about that research. 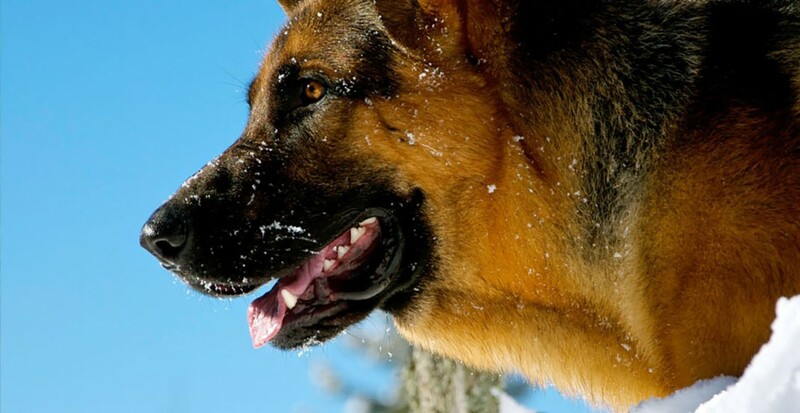 AH – The Belgian Ministry of Defense asked how they could optimize their training methods to improve the welfare and performance situation of their dogs. I designed a program focusing on improving the human-dog collaboration using more positive methods. I also designed environmental enrichment steps, and trained the handlers’ in the principles of learning and operant conditioning. The funny thing is, we didn’t just see the dogs’ welfare improve, but the handlers’ too. They were much more satisfied with their work with the dogs once we’d switched to more positive methods. LV – What was the situation before your proposed changes? AH – Many of the dogs were trained with an e-collar. Many were under-trained, fearful, aggressive or understimulated. Many even only got to go out of their kennels every four days or so. LV – Oh, those are not welfare-optimal conditions, indeed. So how did you measure the effectiveness of your program? AH – We had the dogs pass the standard military certification test before and after the study (a year later). We also took cortisol and ACTH measures, and we looked at posture at behaviour and posture by filming the dogs in their kennels before and after. We also conducted Netto and Planta’s MAG aggression test (see references). LV – What behavioural measures did you analyse in your footage? AH – We looked at stereotypies, and common stress signs like yawning, panting, or lip-licking. And we looked at the dogs’ posture. LV – Did you find the handlers were apt at reading their dog’s body language? AH – Actually many described fearful dogs as ‘dominant’ and ‘courageous’. This was extremely relevant, as scared dogs are not reliable service dogs, and can even be dangerous on the front lines. LV – Did you have any control over your training protocol being consistently applied? Did you have oversight of what training methods were being used outside of your recordings? AH – We couldn’t control that but we kept a close watch on the dogs’ posture and on the dog-handler relationship and we saw improvement in many cases. LV – Was there a control group? AH – Yes. We asked 50 teams of dog-handler to implement our environmental enrichment measures, to train more positively, to train more often, and to attend the workshops. The control group was 50 dogs-handler teams who were asked to just keep doing what they had always been doing. LV – Could you observe an effect? AH – Yes. The dogs in the intervention group started carrying themselves more confidently, had higher obedience scores, displayed less aggressive behaviour, and showed lower levels of stress across all measures. They also seemed to cope better with stress than the dogs in the control group, and, when they did get stressed, they recovered more quickly. LV – As a non-veterinary behaviourist, I sometimes see animals who need a psychopharmacological adjuvant in parallel with behaviour therapy. This is difficult as I am not a licensed veterinarian, but most generalists are not trained in psychopharmacology. AH – Yes, that’s a delicate situation. I can relate in a sense. I had a colleague refer a patient to me and I was astonished about the medication this dog was on. It it had been up to me, this dog would have been on no medication at all. LV – It can be tricky. Sometimes, I see vets prescribe major tranquilizers for panic for example, or the opposite: vets who staunchly refuse to contemplate psychopharmacology. And then you have the behaviour specialists who will systematically go for the pills. Where would you say you fall on this spectrum? Do you have clear guidelines for what makes a dog a suitable candidate for psychopharmacological treatment? AH – I restrict the stronger psychopharmacological adjuvants to only very, very, very difficult cases. In 95% of my cases, I use either only training or a combination of training with over-the-counter treatments. And the patients I see tend to show profound behaviour problems. … I would not continue using them [complementary and alternative medicines, red.] if they weren’t working. But I see amazing results with it. AH – Yes, for example. I will prescribe phytotherapy, homeopathy, aromatherapy, flower essences… It really depends on each dog and their owner. LV – The use of complementary and alternative medicine is a stark contrast with the stance of many veterinary behaviourists. How do you deal with criticism about the lack of demonstrated efficacy of homeopathy in formal research, for example? AH – I can only tell you that I would not continue using them [complementary and alternative medicines, sic.] if they weren’t working. But I see amazing results with it. LV – So you use principally training and the learning principles to help patients. What sort of methods do you typically use? I assume a lot of counter-conditioning and desensitization, then putting an incompatible response under strong operant control? AH – Yes, those are the main lines of approach. LV – And do you collaborate closely with dog trainers? AH – I work with four or five trainers, maximum. I love it when a good trainer can take over and keeps me informed. But I really need to trust that person first. When the trust is there, it’s amazing what we can achieve together. LV – Oh absolutely. In my view, the best behavioural care an animal can get is when a trainer and a veterinary behaviourist team up. But not everyone can afford it. AH – Yes absolutely. For me, though, an intervention is 95% training, and I advise on the training aspects too. LV – But the animal needs a formal diagnosis and analysis process, which is where the behaviourist comes into it, right? AH – Yes. But, in my work, I am responsible for the diagnosis, treatment and training advice myself. It allows me to follow the owner and their animal for longer and that really improves the prognosis. But again, when I do trust a trainer, I am happy to work with them and pass the training part to them. LV – A lot of people really have no idea about what to expect of a behaviour specialist. What is the misconception you hear most often? …it’s a science-based subject that helps you better understand the animal world, and so improve the animal-human relationship. I never really know how to answer that. In a way, it doesn’t really matter: I know what I do. But if they’re interested, I explain that it’s a science-based subject, that it helps you understand the animal world better, which improves the animal-human relationship. This entry was posted in Dog pros: a day in the life and tagged alternative and complementary veterinary behavioural medicine, dog behaviour research, dog behaviourist, ethology, military dog training positive methods, olfactory stimulation treatment dogs, vet behaviourist, veterinary behavioural aromatherapy, Veterinary behavioural medicine, veterinary behaviourist. Bookmark the permalink. Post a comment or leave a trackback: Trackback URL.